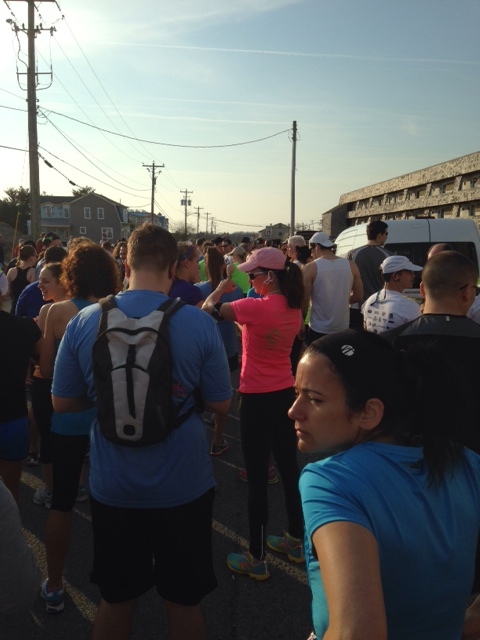 Saturday I will be running the Island 2 Island Half Marathon that starts at Assateauge Island and runs to the boardwalk in Ocean City Maryland. This race has been taking place for the past 10 years but I have never run in the Half portion of the event. I did run in The 5k a few times but the Half never seemed to interest me. As I started to think about this half being race #10 I started thinking about my “running career” and how half marathons used to be a big deal and I would typical only run one per year. 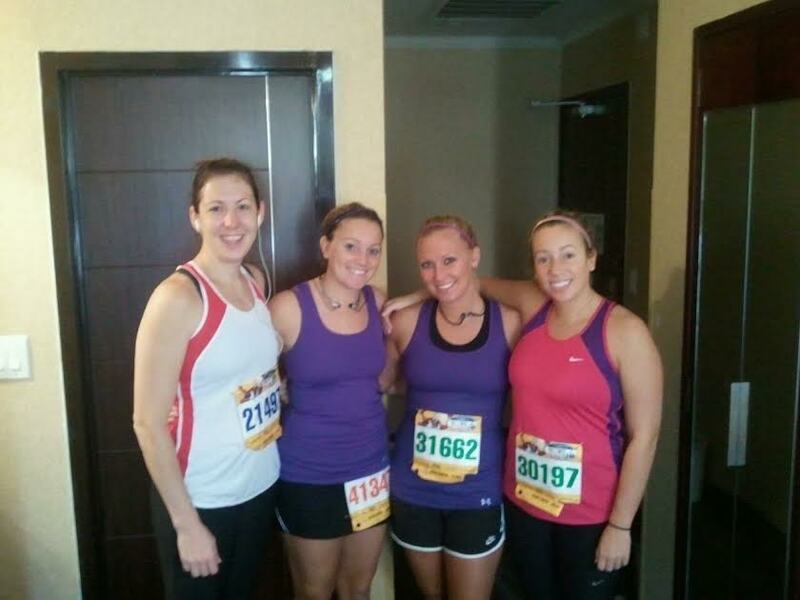 I thought it would be fun to take a look back at each of my half marathons as I start to prep for #10 on Saturday. Talk about being nervous. This was my first ever half and boy was it hard. 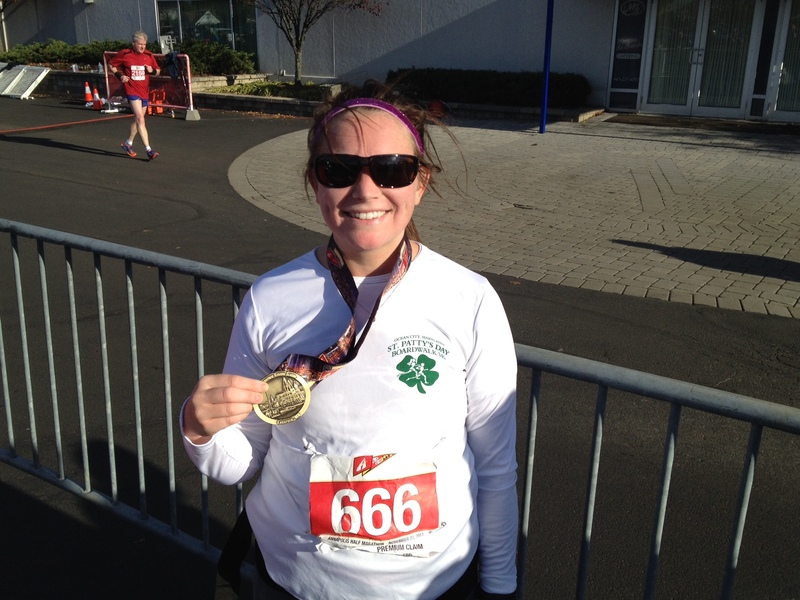 I had no finishing time in mind- I just wanted to cross that finish line! My sister had run this race previously and I had run in the 5k the year before. 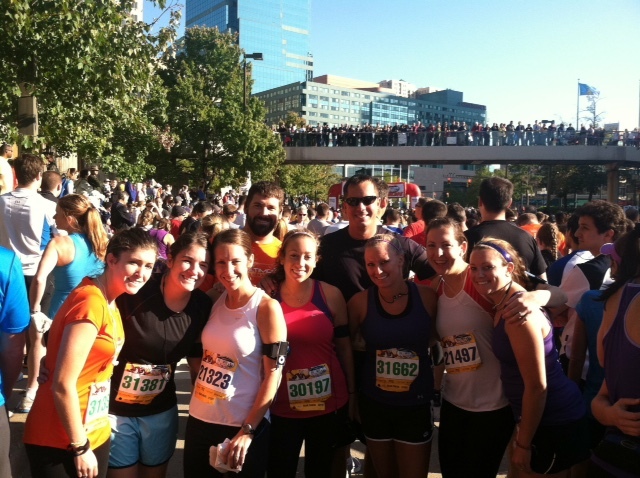 If you have ever run Baltimore you know it is hilly but I finished and smiled A LOT! My time ended up being exactly 2:30 which I did not think was to terrible. One highlight that vividly sticks out to me was that I stopped at EVERY SINGLE Stop there was- Gummy bears, Gu, Water, Fruit, Gatorade, M&Ms.. you name it- I stopped. I had the worst stomach ache after but hey- I finished! One year later, Back to Baltimore I go. I obviously knew I wanted to do better than the year before and I guess technically I did: 2:29 🙂 Honestly I cannot remember anything crazy from this race. I ran it and finished and that is pretty much the end of half #2. Finally decided to break the mold of Baltimore (even though I would be heading there in a few months) and go to a new state for a half. This was a sister’s weekend get away. We took the Amtrack from Wilmington to Providence and settled in for our race weekend. 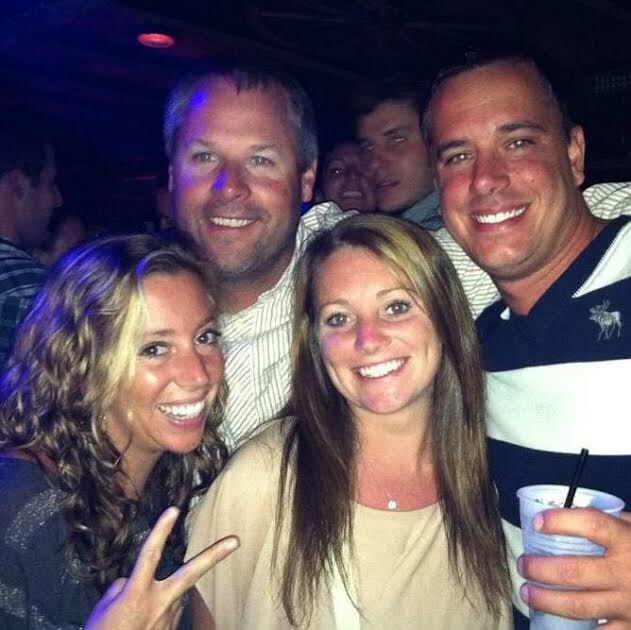 We were both looking forward to a fun weekend away, a beautiful course, awesome bands, and a fun after party celebration which featured Sugar ray. Well let me just tell you the fun just poured… actually the rain just poured. IT was raining before we started and it continued to rain the entire race. My iPod died, no bands to be seen and soaking wet clothes. Despite the less than stellar conditions and the uphill finish (why would race organizers do that??) I crossed the finish line in 2:32. Even though we did not attend the Sugar ray concert we did see him outside of the hotel and got a picture of him. That was definitely a highlight of the trip. We did also explore the city which was super cute and had a ton of cute little restaurants! Another memorable moment from this race was the birth of the Jonesin’ Girls twitter accounts! There was so many funny things happening on the amtrack on our trip home we live tweeted the entire trip. @kstewjones & @drcastewart still live on do you follow us? So here it is, year 3 of running the same race. Did I love Baltimore? Of course. Did I hope for a better time? Of course. 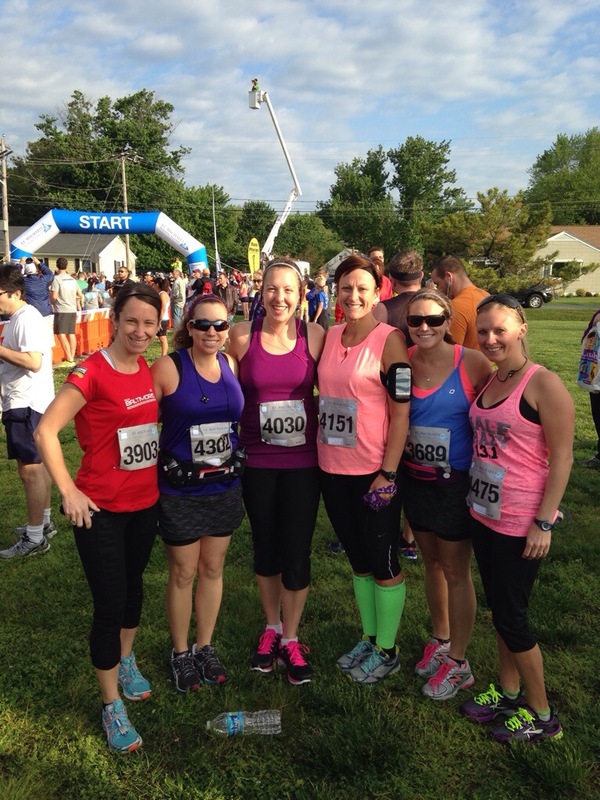 This year was super fun because a bunch of us all ran together! We all met up afterwards and celebrated and even went out downtown afterwards..
Oh yea.. the actual race- Not so pretty this year my friends. Major stomach issues the entire time BUT I did get to run this race with my now Brother-In-law. It was fun having someone to complain the entire time to. He was having cramping and I stopped at every bathroom on the course so needless to say it took us near forever. We decided we would not take longer than 3:00- so wouldn’t you know we crossed that finish line right at 2:59! 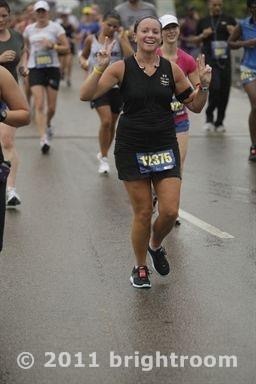 What was funny about this race is that I was a few weeks pregnant. One of our best running friends actually called me out on it when no one even knew yet! Kinda funny looking back on it now. When we heard this race was coming to town (D.C.) it was a no brainer to jump in the lottery- who wouldn’t want a hot guy handing me a Tiffany’s necklace as I crossed the finish line?. When we actually signed up I did not know I was pregnant and when we found out we made it into the race I had recently gotten my due date. I immediately did some calendar counting and realized I would be almost 30 weeks pregnant. 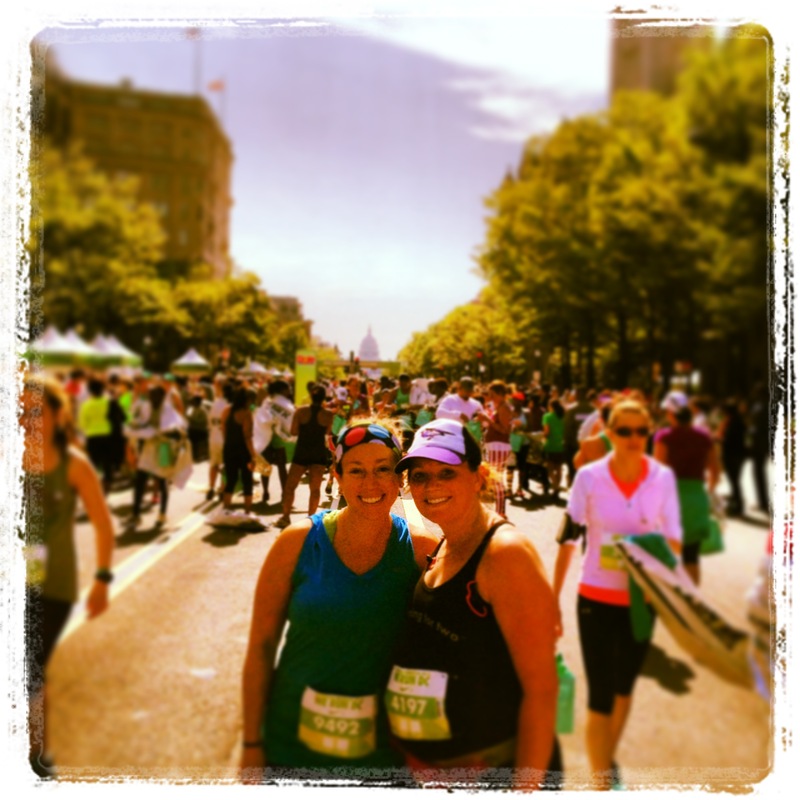 Despite the baby belly I borrowed a “running for two” tank and Courtney and I hit the streets of DC to run the race. Finishing time was out the window- my goal was FINISH! We ended up getting our beautiful Tiffany’s necklace after 2:48 minutes of running. Besides finishing I was super excited that I did not have to stop once to use the bathroom! Talk about the real victory of that day! You can read the real race recap here. This race is where I put it all on the line. I trained- whether it was a treadmill run, a stroller run, or even a solo run I focused on finishing this race with a real PR. As you can see most of my race times floated around that 2:30 mark. This race I wanted it. I made an awesome playlist, , set my goal for something below 2:30 and started the race. 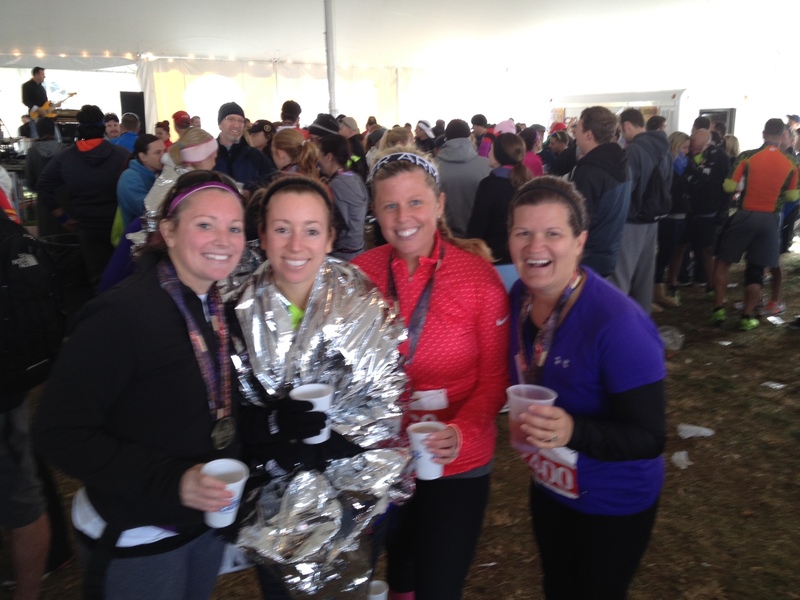 I have the whole recap here but spoiler alert I took some major time off my finishing time– 2:15! We all celebrated and enjoyed Annapolis but it was this race that the bug truly got me- I knew I could do better and run faster- all after having 2 kids! It was this race that I learned the importance of truely training for a race and that hard work pays off! Enjoying the AWESOME after party! My impromptu Half marathon. I had been eyeing this race up and watching the weather. My “goal” race for the spring was in a few weeks and I figured I would use this hometown race to gauge my progress of training. Little did I know I would rock this race, even while taking 3 phone calls from my husband during the run, I managed a finish time of 2:08, my current PR. This race is fun and small and scenic which is always nice. The full recap is here! My big goal race for 2014- While it was not my fastest it was just run running in a new place with my friends. The full recap is here. This race proved to be more mentally hard for me then physically hard. The course was partially boring with a long out and back portion and the water views were few and far between. What they did have was a fun after party and a super sparkly finishers medal. I ended up crossing the finish line (with two friends) in 2:12. While it was my fastest it was still an improvement from 2:30 land. So now here we are on the eve of Half #10. While I am not overly nervous I do have a big goal in mind. I am in the hunt for a sub 2:00 Half. I am not talking anything crazy- just want to see the clock say something with the first number being a 1. While I know this is going to be a stretch I think it is an attainable goal. 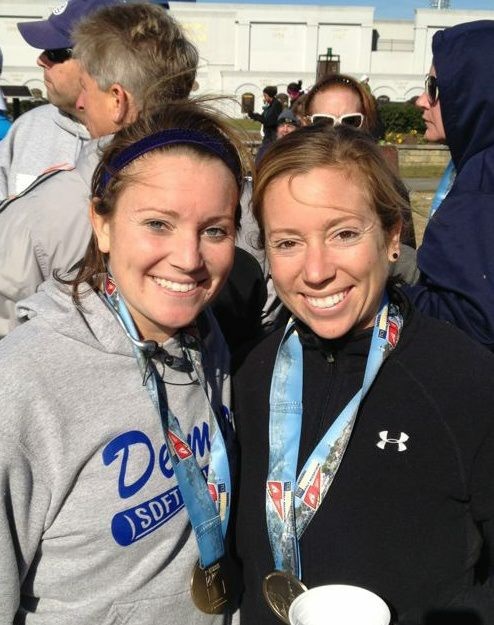 I will have my Best Running Friend by my side, along with others, even a first time half-marathoner. The weather forecast looks good and a plan is in place. By now you know I am not going to be upset if I do not reach my goal because I do have 3 other half marathons planned for this year (Annapolis, Baltimore and Rehoboth) but it would be super awesome to knock it out of the park on half #10 with my friends. It is funny to look back at my previous races and see just how far I have come. I have not run a half in about a year so it will good to get back to that 13.1 distance. Here is to an epic run on Saturday! 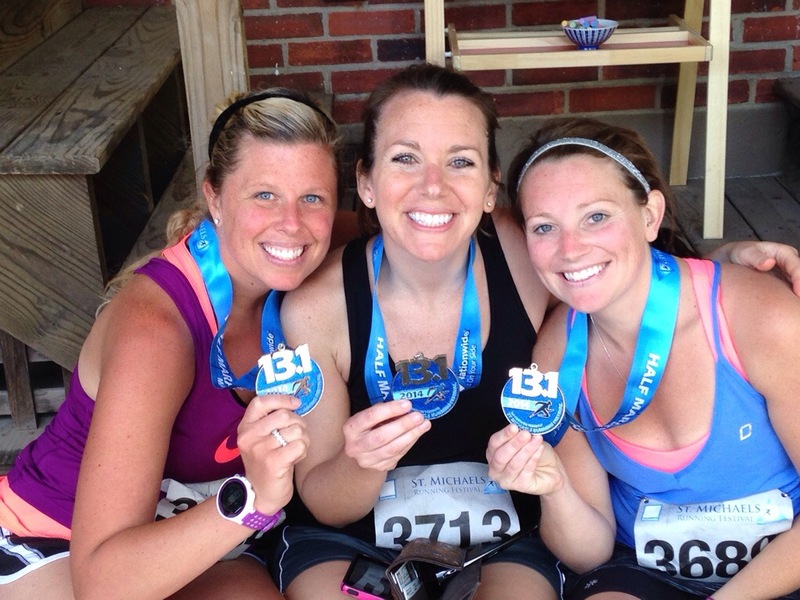 What does your half marathon history look like? Do you have a goal race and time for this year? My half stats-3:15, 2:27, 2:32, 2:40, 2:35…cannot wait for #6. Good luck tomorrow!! I’m running half number 7 in a few weeks and I’m hoping for a PR! I need to do the Baltimore Running festival. It’s so close, but somehow I never think to look for races up there! Oh! And good luck!! Have fun with #10! !